"One of the core ideas in his books is that it is possible to change other people's behavior by changing one's reaction to them." By doing (or not doing) certain things, you are kind of manipulating the person into doing what you want. I am not a proponent of manipulation by any means. I do feel that helping the other person come to their own conclusions through some of these principles is helpful. 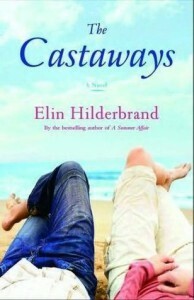 I read a review on this book by a reader on GoodReads and she said that this book had a negative effect on her life. With any self-help books that you read, you must take things with a grain of salt. 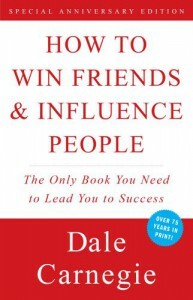 With "How To Win Friends And Influence People," I believe many of the insights are mainly geared to a person who is in business (salesperson.) That is not to say parts may not be applied to personal friendships/relationships. I think you have to remain true to your personality and not force something that is not natural. qualities - they weren't redeeming enough! I ended up with a bunch of friends I didn't really want and, because I was so preoccupied with "winning" those friendships I missed out on the chance to form relationships with good people." I think what the reviewer did was to conform to the different principles and took them to heart a bit too much. There is definitely a time and place for everything and if you're using these principles all of the time, well that can seriously get tiring in my opinion. If you're thinking of reading this book because you are lonely & want friends, don't read it. I read this book on my Kindle and plan on going back to all of the notes I highlighted. A lot of what is presented in this book is common knowledge, it's just that it is presented in a way that really makes you think about how to use the principles. Having examples of each is also extremely helpful. I think this book should be a requirement for college or anyone working in a business setting. I also believe it was completely written at the time aimed towards salesmen. Not all people have the natural ability to do the things presented in this book; some do. This book is obviously a best seller for a reason and I think the reason is the way the principles are presented. 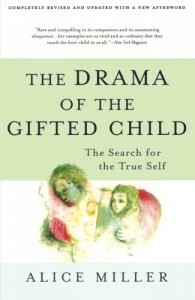 I picked up this book thinking it was going to be about what everyone thinks of when they hear the words 'gifted' children....the academic or artistic kind. That it was not. I think everyone could probably see bits and pieces of their life in some of the examples shared in this book. No parent is perfect and many different generations of parents believe in different things. The main focus in this book is that children suppress their feelings, wants and needs to please their parents. Not exactly earth-shattering information to me, but important because if a child continues to do this, they lose their true-self and will most likely struggle with this throughout their life, which introduces the need for therapy later on to uncover why they're suppressing what they really want out of life. The book is definitely written for other psychologists and not necessarily the general public. I found myself bored at times because it seemed as if points were being restated over again. I wish I had highlighted some of the 'light bulb' areas of the book because there were definitely some good nuggets within the text. I just think the book was a bit drawn out on the topic it covered. This book was recommended by one of AVON's top representatives, Lisa M. Wilber, Platinum Executive Leader. 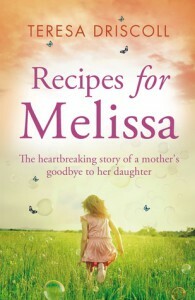 Lisa also wrote a recommendation at the very beginning of this book. Andrea Patten addresses the fact that everyone has always been told to hush the inner critic within you. Her approach is to try to work with that voice so that it can work for you, instead of against you. "Finding benefits hidden by annoyances is not an easy process. It takes effort, energy and focus. And creating a new, more peaceful relationship with your Inner Critic is complicated by the fact that, for years, experts have been offering advice on how to silence the Inner Critic." 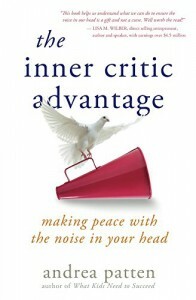 She believes that by trying to 'kill off' the inner critic brings it back to be "even stronger and naggier than before." What is an inner critic? Patten describes it in this way: "An Inner Critic is our brain's misinterpretation of stimulus or data that: amplifies harsh self-judgement, creates negative self-talk and, interferes with the confidence needed to take action toward personal goals and desires." The author also gives many ideas and skills to help "transpose the negative into positive." "Your Inner Critic can brilliantly detect threats but is none too bright about priority-setting." Patten also recommends giving your inner critic a new name....something that "brings both comfort and confidence." "Personal growth strategies are not Swiss Army knives: I can't think of a single one that works in every situation, that's why it's such a good idea to try them on for size." "Part of nurturing an inner ally involves deciding which messages to focus on and which ones to let go." Some negative key words mentioned within the writer's vocabulary in this book are: demoralization, enemy, flaws, faults, tension, bad mental habits, threaten, warning, shatter, permanent, worrying, harmful, dangerous, panic and undesirable, Positive vocabulary used in this book to counter-act the negative words above are: brave, honest, relax, soothe, energize, safe, forgive, strengths, peaceful, strong, partnership, healthy, powerful, brilliant, nurturing, honesty, acceptance, courage, flourish, opportunities, benefits, focus and energy. I wish I could say more and believe more about the topic presented in this book. I've tried many times in my life to turn things around by mental ability. I honestly think this is way to continue to motivate yourself to just keep moving on in life. I don't think that just by 'thinking' about something that it will happen. I could post examples here, but will refrain because I do not want to drudge up old memories just to upset myself on a book review. Change takes action, that I believe. But even sometimes with action and doing the best you possibly can do, that still isn't enough. It's discouraging, and unfortunately we learn to live with it. I do not totally disagree with the thoughts and exercises presented in this book. Like the author said, it's not a one-size-fits-all type of thing. Definitely read this book to get ideas to help yourself deal with your inner critic. Try to apply the mental exercises presented and choose the ones that are best for you! 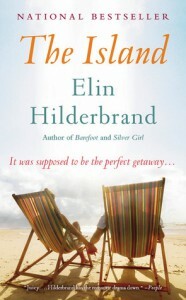 The thing I liked most about this book is the isolation of Tuckernuck Island. I wasn't a total 'fan' of the characters and their attitudes towards one another; a bit childish at times. There were mother-daughter & sister dynamics, as well as marriage, divorce, death and love thrown into the mix. I've seen it said in another review that "the author makes you love & hate the characters".....this is totally true! With that said, it was definitely believable and not far-fetched, but be prepared for some drama! This book is centered around the death of Greg and Tess MacAvoy and their circle of friends, three couples, who recount their past travels and memories with the deceased couple. Each couple thinks about how they may have contributed to their deaths. The book revisits the days when the friends met and grew up on the island and the chapters alternate between each friend's memories and viewpoint. There's a lot of storylines and characters to keep up with in this book. Affairs, gossip, drama, mistrust....a lot to keep up with. an honest review from NetGalley. Sophie Anderson has been a supportive wife to her husband Zack for sixteen years. Her husband's life revolves around his work as an architect, while Sophie is focused on raising their two children, fifteen year old Jonah and ten year old Lacey. When her husband returns home she decides to confront him about the second memo and this is how she finds out her husband wants a divorce. She's shocked and confused and tells her husband that a college friend had phoned the day before checking to see if they'd want to rent her family's summer home in Nantucket in July and August. Sophie is hoping Zack will come with them to work on their marriage. Zack refuses and says he won't pay for it. Sophie decides she will use her inheritance from her Aunt Fancy to take her and the children to the cottage for the summer. Trevor Black owns his own software company and is a widow with a four year old son named Leo who is having a difficult time coping with his mother's death and showing obsessive behaviors. Trevor consults with a phychologist and the doctor suggests a vacation; somewhere Leo had never been with his mother. Coincidentally, one of Trevor's old college friends calls him with an offer to rent his family's summer home for July and August and he accepts because it is just what the doctor has ordered. 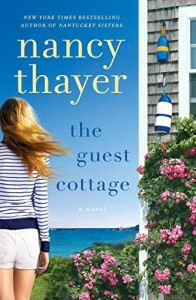 As you may have guessed, Sophie and Trevor both head to Nantucket and need to work out the situation between them both renting the guest cottage for the summer. Sophie's children grow close with Leo, Sophie finds a beau in one of her daughter's new friends in the area and Trevor fights his attraction to Sophie. 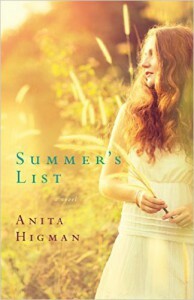 This is a light, flowing read; perfect for summer. Melissa Dance is turning twenty-five years old. Her mother Eleanore passed away from cancer when Melissa was only eight years old. Elenore started a journal in August 1994 and made plans with her attorney to have the journal given to Melissa on her twenty-fifth birthday. Melissa's father Max does not know this journal exists. Eleanore's original idea for the journal was to only include recipes that were handed down from her mother and grandmother and to included photos of her and Melissa cooking throughout the book. The journal turned into a way for Eleanore to share her thoughts and wisdom to help her grown-up daughter. She chose age twenty-five because that was the age she gave birth to Melissa. The chapters throughout this book rotate from Melissa's point of view in present day (2011,) Eleanore's writing of the book and dealings with cancer back in 1994 and Max's issues in the present. This book definitely keeps you interested in wanting to find out what Eleanore has to say next in the journal and what possible secrets she has to tell her daughter. This book is heartwarming, heart wrenching, nostalgic, full of emotions and extremely realistic. It could very well be a true story. You will also find yourself wanting to make some of the recipes included throughout the journal, so be prepared to save them for later! Williston, MA, twenty miles west of Boston, is home to a local home improvement television show called Gut It! MacAfee Homes is the main builder in the area but they are fearing another family builder by the name of Barth may be trying to worm their way into the area. On the morning of Jamie MacAfee's Mom's birthday her father Roy wants to meet with her at the local diner. He tells her that the television station wants to make some changes to the show to improve ratings and they want Jamie to be the new host. Jamie is an architect and appears on Gut It! with her mother Caroline, the host. Jamie decides not to tell her mother because it's her birthday and believes this change is due to her mother being middle aged! 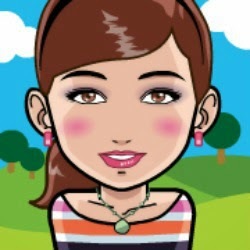 Jamie hopes she can convince her father, producer and general manager that this is not the right decision for the show. Unfortunately, Caroline does find out, but not from Jamie, and it causes a huge rift between mother and daughter. There is an unexpected accident and Jamie's life changes forever, but she's not on speaking terms with her mother so she must handle many of these changes and challenges on her own. The beginning of this book was a bit slow for me, but once the first major event in the story occurred the book flowed nicely. The main theme in this book is life changes for women of differing ages and how they handle what is thrown their way. Other subjects touched upon are personal growth, ageism, sexism, relationship and family issues. 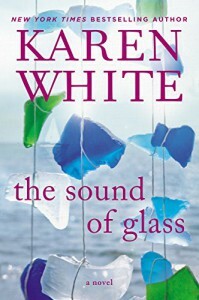 This is the first book I've read by author Karen White. I wasn't quite expecting a storyline with a serious underlying issue that spans throughout generations of the novel's women characters. With that said, you will not want to put this book down!!!! Merritt Heyward is a widow who has inherited her mother-in-law Edith's home in Beaufort, South Carolina. 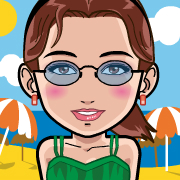 Merritt is a northerner from Bangor, Maine but decides this move is just what she need to begin over after being widowed. She doesn't expect her young step-mother and step-brother, that she's never known. to show up in South Carolina for her fresh start! Merritt also must contact the brother in law she's never met so that he can collect any items from his grandmother's home that he would like to keep. Little do any of them realize the bonds and friendships that will be formed as they uncover family secrets while also learning about history that has has an affect on them all without any of them knowing it. I gave this book 4 out of 5 stars only because I was confused for awhile with the cast of characters. This could've been due to me reading this book late at night before bed and then not coming back to the book for a day or so. That said, I read more than half of this book in one day because I really got into it. I wish I could say more about this novel without giving you any spoilers, but I cannot. I want anyone who decides to read this book to go into it without knowing too much of the backstory because it will be more enjoyable for you this way. Enjoy! I was given this book in exchange for an honest review from the author. Home Blooms is Tammy L. Grace's second installment of her Hometown Harbor series. You can see my review of her first book, Finding Home: A Hometown Harbor Novel (Volume 1) HERE. The story continues with Sam and Jeff planning their wedding, getting married and trying to play matchmaker to Sam's friend Max and Friday Harbor's florist, Linda. About a quarter into the book Ms. Grace transitions nicely from focusing on Sam and Jeff's relationship to the blossoming friendship of Max and Linda. The newlyweds endure a tragedy and rely on Max and Linda to help them through tough times ahead. Linda also uncovers a family secret and begins opening up to Max as their relationship and trust in one another grows. I enjoyed the storyline of the book, but felt it could've moved along a bit quicker. Also, I don't think I've ever read a book with so much eating involved that it actually made me hungry when I'd read the book! It seemed like they were either getting pies from the coffee shop, pastries from Sweet Treats, pizza from The Big Cheese, eating at restaurants, ordering in or preparing meals at home. Maybe next time the reader would enjoy some recipes thrown in the mix so they could try their hand at some of the coffee shop's famous pies or some of the other recurring meals in the story. The next installment in this series is A Promise Of Home, which I will be reading around Christmas time this year. This series is a very enjoyable, laid back, light read and I recommend it to anyone looking to escape to the small town of Friday Harbor. Killer Music is not the usual genre that I read, although I've been trying to get more into mysteries lately instead of the normal women's fiction I tend to gravitate towards. At the beginning of this novel Grayson Taylor is introduced to the reader and I really was intrigued by all the entanglements going on in his life. I hadn't read the book description so little did I know that the story would be centered around this man's death! Grayson Taylor is an executive who runs the Los Angeles office of Global Records, a recording company. He travels to Global's Nashville office every six weeks and is planning on starting his own independent label; he just needs to work up the nerve to tell Mel Lewis, the CEO of Global. Grayson is staying at a hotel in Nashville and receives an unexpected visit from his high school sweetheart's brother Andy, who informs Grayson he has a seventeen year old son named Taylor. Andy wants Gray to contribute to Taylor's expenses for college, although his sister has been against telling Gray he had a son for all these years. Andy informs Gray that Taylor works at Silverwood, which is where a record industry party is taking place that evening. Cooper Harrington is a local private detective who works closely with Nashville's Chief of Detectives, Ben Mason and his office manager Annabelle, who is also a friend from college. Cooper has been invited by the woman he is dating to a country music party taking place at Silverwood. Coop is briefly introduced to Grayson Taylor at the event along with many legislators looking to gain supporters for their upcoming campaigns. Coop is a natural observer and watches many interactions between people while his date Shelby goes off to meet some of the well-known country stars. Detective Harrington is called the day after the party to begin the investigation into Grayson Taylor's death which took place during the party at Silverwood. Coop works closely with Ben's department and his assistant Annabelle in interviewing guests from the party as they try to piece together who would've killed Mr. Taylor and why. There are many characters in this story and I honestly had no idea who was the killer. 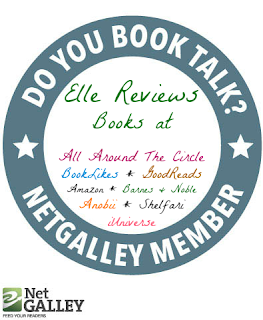 The story is very enjoyable and I found myself not wanting to put the book down. Ms. Grace definitely keeps you guessing throughout the book! Killer Music is Tammy L. Grace's first book in the Cooper Harrington Detective series and is her first mystery novel. 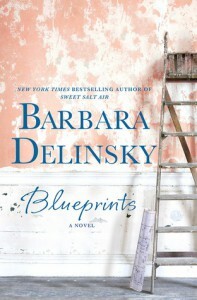 She has also written three books in the Hometown Harbor series in the women's fiction genre. This is a great book for engaged or married couples and for anyone who thinks they may want to get married some day. Ashleigh adds anecdotes from her marriage as well as some of her friends marriages throughout the book. She blends humor and wisdom very nicely which makes this book an enjoyable reading experience. Her husband Ted's views are also dispersed here and there throughout each chapter so you get a feel for his view on the topic at hand as well. At the end of each chapter there are sets of questions to ponder about your own marriage that pertain to the topic covered in that chapter. It is also worth noting that the author quotes from the Bible and relates them to marital and relationship situations. The main focus of the book is teamwork. Marriage is a union and requires give and take. It also requires work. Working on romance, shared interests and communication skills. Ashleigh states in the book, "Perhaps marriage is a continual learning process." Below are some of my favorite quotes from the book that I feel are sound advice for any relationship. "Not only have I spoken well of him, pointing out the ways I recognize and appreciate him, but I've also made it about me. I've focused on a "this is how I feel," rather than a "you did this" approach." "I've realized that marriage doesn't require us to have all the same interests. In fact, I think it might get a bit boring if we did." "Rather than fear disagreements he viewed them as an opportunity to improve our communication and deepen our trust in one another. How very mature of him." "An unburdened heart is one that's not weighed down by grudges." "Often the best way to prevent grudges and unforgiveness is by stopping conflict before it even starts." "Verbal affirmation. Truth is, Ted can't read my mind. While my actions may demonstrate that I support and appreciate him, he needs my words too." "Words paired with action are simple yet powerful---especially when the going is a bit tough. And when you add dreaming to them, sometimes that's when mountains are moving." "It's important that I'm purposeful in whom I bring into my confidence; that I'm intentional when I determine the friends I go to for counsel, advice, and prayer." "You and your spouse need to decide what you are both comfortable with when it comes to confiding about your marriage to others." "We don't live a fake Christian life in front of others and something else at home." A Taste Of Sauvignon is the third book in Heather Heyford's debut series, the Napa Wine Heiresses. This book follows the eldest sister, Sauvignon 'Savvy' St Pierre. Savvy decided at the age of thirteen that she would become a lawyer. She's working for a small law firm in her hometown in Napa Valley and is being assigned her very first case. On her way to her firm's weekly meeting she accidentally hits the neighboring farmer's chicken with her car when it runs out into the street. She doesn't know much about the neighbors since she and her sisters were sent away to boarding schools on the East Coast when they were young and then they attended college thereafter. The St. Pierre's cook Jeanne is friends with the neighbors since she's been buying vegetables from their farm stand for years. Savvy knows that her father, famous vintner Xavier St. Pierre, does not see eye to eye with them, but she doesn't know why. Savvy meets the neighbors when Mrs. Morales and her son Esteban come out to her car to retrieve the chicken she hit. Savvy is awestruck by Esteban the "agrilicious, king-sized man in faded jeans." Mrs. Morales invites Savvy into the house for some tea and Esteban is perturbed that his mother is treating Savvy like the victim instead of the chicken. Savvy finally goes off to her meeting and is assigned a case with a group called NTI who would like to acquire a piece of property in the Napa area. The NTI group is making a million dollar offer for the land, but it isn't until Savvy sees the address of the land that she realizes she will be seeing Esteban again because it is the Morales' land the group wants to purchase. I thoroughly enjoyed this book and am quite sad that I have to wait until Fall 2015 for the 4th installment of this series. and will be available to purchase on April 14. 2015.